Summary: A collection of short stories in which our modern reality is blended with classical myths and a potential future. What I Thought: I am not usually a huge fan of short story collections. I think they are wonderful for certain things, but I generally enjoy a more in depth plot and chance for character development. Short stories really are a totally different art form than the novel. That being said, I did not realize I was picking up a short story collection when I grabbed this book. 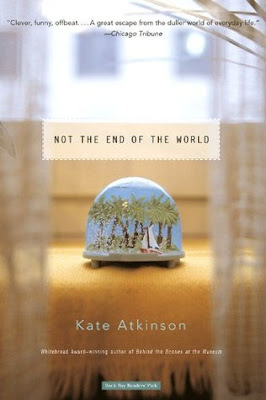 I am a big fan of Kate Atkinson's writing and have wanted to go back and read more of her early work. As often happens when I am reading work by an author I already enjoy, I did not read the description too closely. So, I was in for a surprise when I realized it was a short story collection. 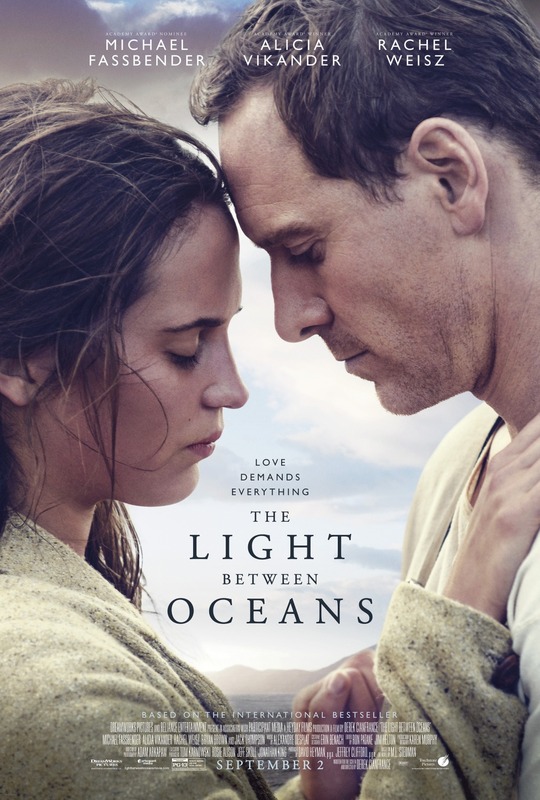 Summary: "A lighthouse keeper and his wife living off the coast of Western Australia raise a baby they rescue from a drifting rowing boat." What I Thought: I read this book last fall when I saw the movie would be coming out. Kevin's aunt had recommended it to me and I'd put off reading it for a while. However, when I saw the cast of the movie, I knew I would want to see it. And, being me, I had to read the book first. I don't know why it took me so long to watch the movie. I've known since before reading the book I would want to see it. I've almost watched it many times, but have never been in quite the right head space to take it on. One night when Kevin was in class, though, it finally seemed like the right moment. How I Found It: I read another Jennifer Close novel earlier this year. Summary: Close follows a group of college friends in their post-college years as they and those around them encounter matrimony in a variety of different ways. What I Thought: I picked this up because I really liked Close's dark look at marriage and politics in The Hopefuls. This was really, really different from that book. It's still looking at marriage, but from a different perspective. 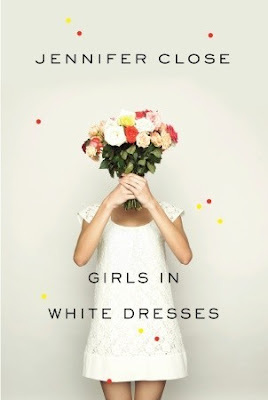 In a way, it's a series of short stories, each one focused on weddings in some way. However, the same characters weave in and out of the chapters, each tangentially related to our main group in some way or another. 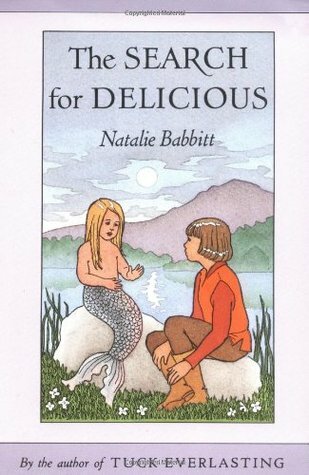 How I Found It: I read it as a kid. Summary: When everyone at court disagrees on the definition of 'delicious' for the Prime Minister's dictionary, young Gaylan is sent to poll the people of the kingdom. Along the way, he finds himself embroiled with creatures of fantasy and a plot to overthrow the King. 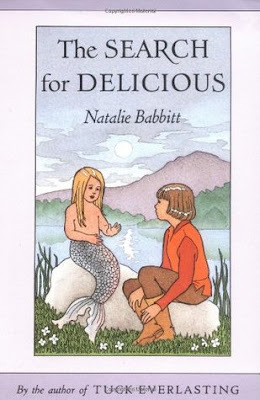 What I Thought: Natalie Babbitt wrote several books I read as a child and which have stayed with me over the years. Since I've been enjoying dipping my toe back into the world of children's literature lately, it seemed like a good time to revisit this one. It was as charming as I remember. I cannot really pinpoint what about this book stuck with me for so long. It is not particularly exceptional. Yet, there is something to it which I just enjoy. I think it has just the right balance of humor, fantasy, and intrigue for me. Summary: A quirky Seattle mother struggles with social interactions. When her daughter requests a trip to Antartica, things start falling apart. What I Thought: Before we went to Michigan for my father-in-law's surgery, a friend gave me a few books she thought I might enjoy. This was one of them. I picked it up about a week into our trip and burned through it in a day. It had me laughing and thinking about personality and social interactions. After reading the book and looking it up on Goodreads for this post, I realized that Semple also for Arrested Development. This makes total sense to me. It feels so amazing to be done with the 100 Best Novels challenge. As I mentioned on in my posts earlier this week, I have been working on that list for over four years. Because I am a goal-setter, I have thought throughout that time about how I would like to challenge myself next. So, here we are to talk about just that. Before we do, I do want to acknowledge how very much I am looking forward to reading utterly and completely for pleasure in the next few months. I've read so much heavy material in the past few years because of the list. I really pushed myself through the last twenty or thirty books. So, for a while, I want to read fiction that feels fluffy and good. Books I want to devour, not slog through. I know any new challenge will come with some books I'm not so interested in, so I don't want to jump into anything too quickly. 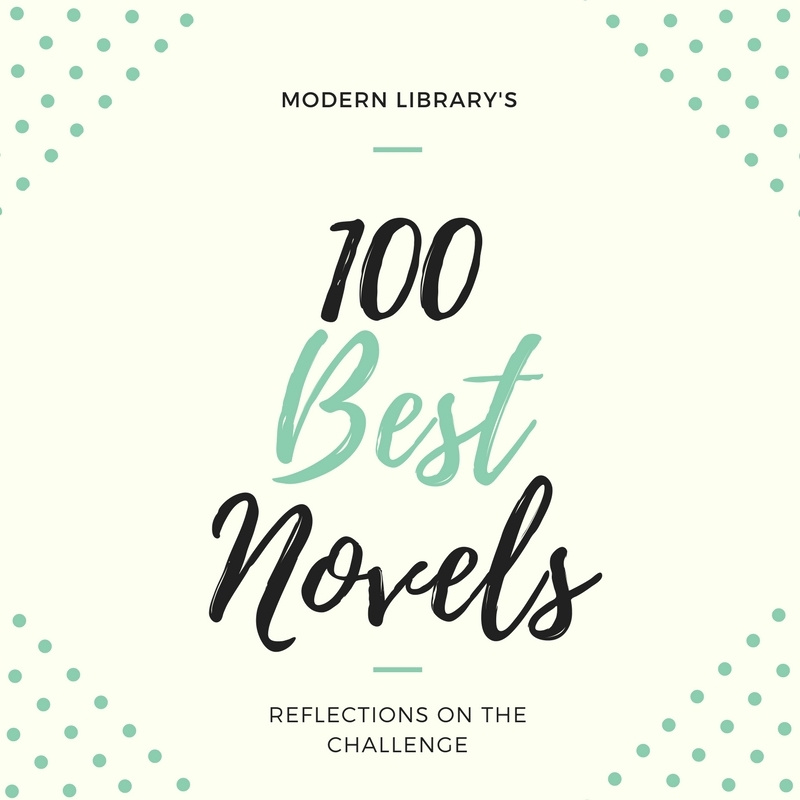 If you've been hanging around this week, you know I have been reflecting on my time spent reading Modern Library's 100 Best Novels list. It took me four and a half years to finish this monstrous challenge, so it's not surprising I have a lot to say about it. Check out my posts from earlier this week regarding what makes a classic and diversity in literature. On this last day of retrospection, I want to hit on the two questions I got asked most often when I told people about this challenge: What has been your favorite book? and What has been your least favorite book? This week is all about my journey to finish the monstrous 100 Best Novels challenge. I am taking time to reflect on various aspects of my journey and thoughts I had along the way. Yesterday, I talked about what makes a book a classic in the first place. Tomorrow, I'll be sharing my favorites (and least favorites) from the list. Today, though, I wanted to talk about my biggest takeaway from this challenge. Over the past four years, I've told a lot of people about my efforts to read these books. If they inquire further about my experience, this is what I share. These are the thoughts I have not been able to shake for years. This is the sentiment which has weighed on me since very early on. In fact, I even talked about it in my post announcing that I was taking on the challenge. Throughout the whole journey, I have been so aware of this issue. I watched it manifest itself in countless ways as I read through the list. So, I want to spend some time talking about it today. In February 2013, I embarked on a challenge. 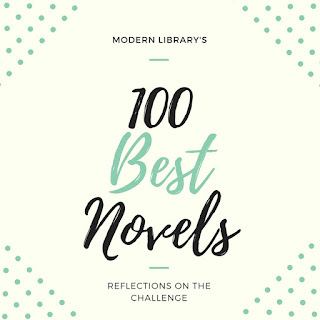 I determined to read through Modern Library's list of the 100 Best Novels. The list was compiled in 1998, so, by now, it is leaving out a good number of years of English writing. Of course, it's not like they picked anything too close to 1998 anyway. It's one of several such lists which were written at the end of the millennium. I chose the Modern Library list in part because it included Ulysses by James Joyce. 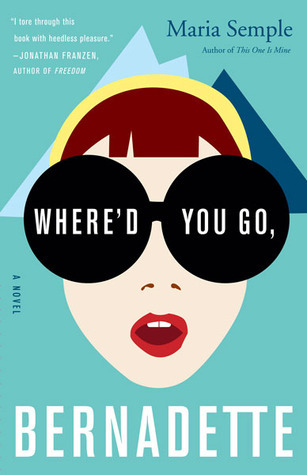 It's often touted as the best novel ever written, so I wanted to include it. Go read my review of it to see what I thought about that. Back when I started the challenge, I expected to finish in two years or so. I certainly did not expect it to take four years. Had I done the practical math at the time, I should have known it would take this long or even longer. I've really pushed myself the last year and a half or so to complete this before my 30th birthday (which is Thursday!). Four and a half years later, I have completed the challenge. It feels amazing to have done something so big. Throughout the experience, I have developed a lot of thoughts and opinions about literature, the challenge, and the purpose of reading. This week, I want to share those thoughts with you. I started writing one big long post, but I quickly realized I have more thoughts than anyone wants to read in one sitting. So, I'm breaking by reflections on this challenge into three days. Tomorrow, I'll be I'm discussing diversity in literature. Thursday, I'm picking favorites - and least favorites! - from the list. And, as a bonus, on Friday I'll be looking ahead and considering what challenge to take on next. Make sure you come back every day this week to read the whole series of posts. Before we dig into specifics, though, I want to look at this challenge through a larger lens. I set off on this challenge because I recognized some big gaps in my "classical" literary education. I wanted to rectify that. These days, after having read 100 "classics," I have some thoughts about what even gives a book that classification. Who gets to decide what a classic even is? After reading this list, I have some complaints I'd like to file with the Modern Library board. Granted, they were not specifically defining these books as "classics," but putting something under the heading of 100 Best Novels certainly grants it a similar gravitas. What I Thought: I didn't dislike this book, but it wasn't what I was expecting at all. After reading Huxley's most famous novel, Brave New World, I was expecting something similar in genre. This is totally different, though certainly not bad. Overall, it was definitely enjoyable. I think, though, I would have gotten much more out of this had I lived in the era in which it was published. 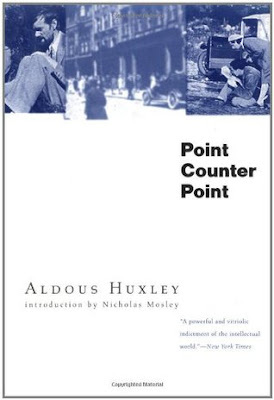 Huxley famously based many of the characters in the novel on real people in his social circle. Since those personalities are no longer well known to the general public, or even someone like myself who makes a habit of reading historical classics, I felt I lost a lot of the intended experience. The book is still good if you don't know who the characters are meant to be, but I continually got the feeling it would have been better if I had known more of the backstory. How I Found It: I read the first book in the series, Pawn. Summary: Kitty's position posing as the Prime Minister's niece remains precarious. 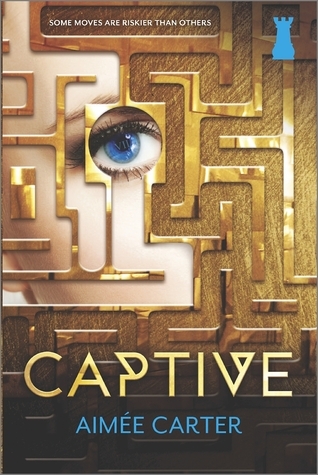 As she attempts to get increasingly involved in the rebellion against him, she finds herself trapped. What I Thought: For some reason, I cannot figure out where I stand on this series. I think it boils down to this: I love the plot, I hate the characters. The setup and plot of these books are really interesting. I think the premise is great, if a little boilerplate for the dystopian genre these days. Still, I think Carter has some great ideas and she keeps me guessing, which is always a feat. How I Found It: I read it for the Pantsuit Politics book club. Summary: How is "civilized" society affecting us on an individualized level? 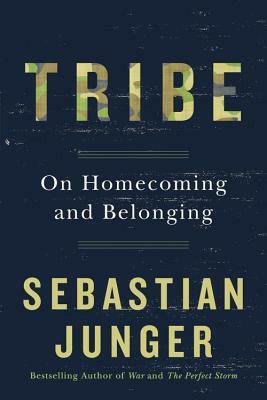 Junger looks specifically at veterans and how we are (or are not) set up to welcome them back home. What I Thought: This is probably not something I would have picked up on my own. I hate to admit it, but veterans' issues are typically not my area of interest. Don't get me wrong, I greatly respect our troops and am so thankful for the sacrifices they and their families are making. After dating a National Guardsmen in high school and going to his boot camp, I had a glimpse of how tough that life is and knew immediately it wasn't for me. Those people are amazing. However, there are only so many issues in which one can be passionately interested. Veterans issues have been lower on my radar than others. Partially because I think if we solve some of the bigger issues, those solutions will bleed over into the military world. Maybe that's naive, but it's where I've been at. All that to say, I support the troops immensely but have never spent a lot of time reading about or learning about their experiences. I fully admit my own shortcomings there. So, when my absolute favorite podcast, Pantsuit Politics, announced this as their next book club read, I picked it up with a small amount of trepidation. Small mostly because I'm in for anything Sarah and Beth suggest. Seriously, if you are not listening to them, you should be. The amazing Monica turned me on to them and I have, in turn, hooked at least two or three more listeners. How I Found It: Kevin's worked gave it to all the employees to read. 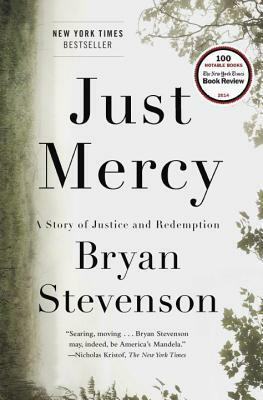 Summary: Stevenson has spent his career advocating for death row inmates in the Deep South. In this book, he reflects on specific cases from throughout his career and the systemic discrimination in our justice system. What I Thought: This book is so powerful. Let me state up front that I recommend you read it. Racial divisions in our country seem to be an eternal problem and, as a white person, my privilege can make it easy to look away. We must not do that. Stevenson opens the door to the stories and lives of death row inmates in Alabama and other southern states. They are stories of broken hearts and broken lives. And, if you are like me, they will make you want to join Stevenson in the fight for a more just justice system. 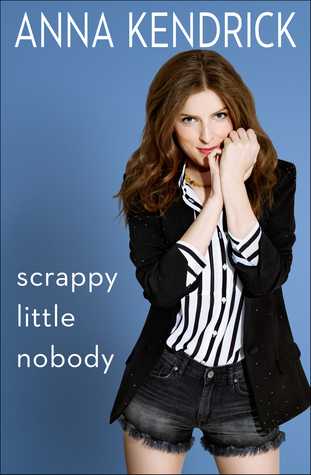 Summary: Anna Kendrick looks back on her life thus far. She covers her childhood days on the stage, her early work in independent films, and some of her more familiar work, including that time she got nominated for an Academy Award. What I Thought: I was really looking forward to this book. I like Anna Kendrick a lot. Kevin and I both love Pitch Perfect and I've really enjoyed Kendrick's work in a number of other things. If you watch interviews with her or follow her on social media, she seems quirky and accessible in a way that is often rare in Hollywood. She certainly also comes across as quirky and accessible in the book, at least in part. Somehow, the same vibe you get from Kendrick's Hollywood persona did not translate all the way to the page. Her humor is perfect for Twitter and social media, but in a longer format, she comes off as stiff and disconnected. Summary: A son whose mother left in his childhood. A mother whose life wasn't at all what it appeared to be. Decades later, a strange event involving a candidate for president throws them together again. What I Thought: I don't know that I ever would have picked this one up. My book club selected it as our long summer read and so here we are. Though I would not have chosen it myself, I did enjoy the book. It winds several stories together, ultimately being about family and the parent-child relationship. 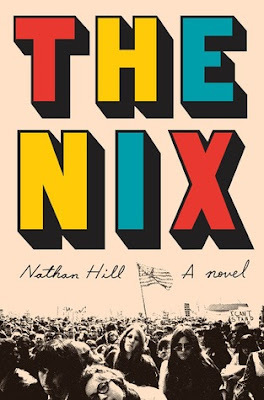 Hill has a nice writing style and he did a good job weaving together the stories. The interludes focused on secondary characters felt important and enjoyable, even though they added little to the main storyline. I like when even less prominent characters are given the time and space to be developed. Hill really did a good job fleshing out their motivations. In a lot of ways, this book is all about motivations. What makes people do the things they do? Why do people stay? leave? act? ignore? What are the triggers that push us and, consequentially, shape our stories?